Atletico Madrid boss Diego Simeone is said to still be keen on swapping striker Jackson Martinez for Chelsea striker Diego Costa, according to The Sun. The Argentinian is keen to capitalise on the apparent unrest felt by Costa at Stamford Bridge to bring him back to the Spanish capital, and is prepared to use the equally unsettled Martinez as bait. 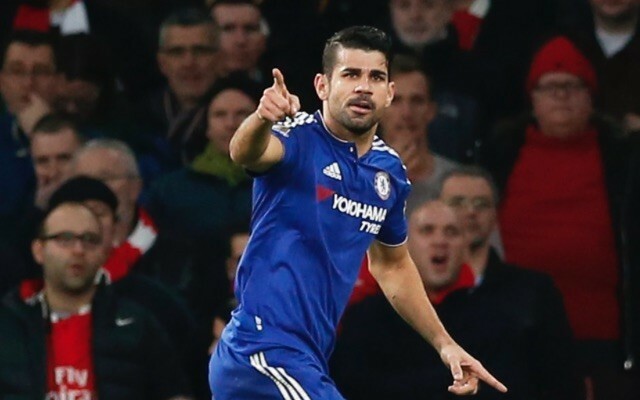 However, Costa, who struggled for form under Jose Mourinho has rediscovered his goalscoring touch under new boss Guus Hiddink, meaning the Blues might be unwilling to part with him just yet. And because of that The Sun believe that the deal won’t have a chance of happening until the summer at least, especially as neither player would be eligible for the Champions League should they move now. But having seen their transfer ban suspended, Atletico are willing to press ahead with the move at the end of the season in a bid to strengthen their attack ahead of another title push.